Body sculpting provides a safe and effective solution for fast, targeted body contouring in common problem areas. Dr. Karie McMurray specializes in body-contouring procedures such as SculpSure®. 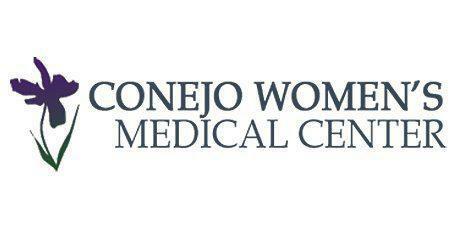 Residents looking to contour their body into a slimmer shape can visit Dr. Karie McMurray in her office at Conejo Women’s Medical Center, located in Westlake Village, Thousand Oaks, California in the Conejo Valley area. Body sculpting is used to remove unwanted deposits of fat that are usually resistant to exercise. It’s a safe and effective method with minimal discomfort, involves less downtime and bruising, and helps patients to return to their daily activities faster. Dr. McMurray gently removes fat from the targeted areas, giving your body a smoother contour and shape. Body sculpting works on almost any part of the human body, but it’s usually performed on areas like the neck, abdomen, arms, thighs, back, and knees to get rid of unwanted fat deposits. In fact, these areas could even be sculpted simultaneously. Who can benefit from body sculpting? Dr. McMurray uses SculpSure -- which is a laser based treatment -- to safely melt away unwanted fat in areas such as the abdomen, thighs, and love handles. Patients report a warming sensation during the treatment, but there’s no pain or discomfort. During the Sculpsure treatment, the laser light will heat up the underlying fat and initiate a process that leads to the loss of fat cells. The SculpSure treatment will decrease the number of fat cells, and those cells will never return. The laser’s heat also boosts the production of collagen and elastin, both of which are necessary for youthful, healthy skin; this new collagen and elastin helps the treated area appear firmer and younger. How many SculpSure treatments will I need to get results? SculpSure treatments result in noticeable fat reduction in the treated areas after one session. Sometimes, patients will choose to undergo a second procedure to remove additional fat. SculpSure is also the first FDA-approved laser treatment that provides permanent results. Dr. McMurray will work with each patient to determine the best treatment plan to achieve the desired results.